Like other carefully calibrated high-end research equipment, an EMC chamber requires maintenance to prevent deterioration of its shielding characteristics and ensure its ready or use. Are you operating a (EMC) testing facility that requires maintenance by a skilled service technician? Comtest’s engineers are ready to assist you. Call +31 71 541 75 13 to schedule an appointment or use the form below. Maintenance management is an important factor in quality assurance and is important for a company’s cost control. Beyond just preventing break downs, it is necessary to keep an EMC testing facility operating within all specifications. The cost of idle time is higher as equipment becomes more high-tech and expensive. 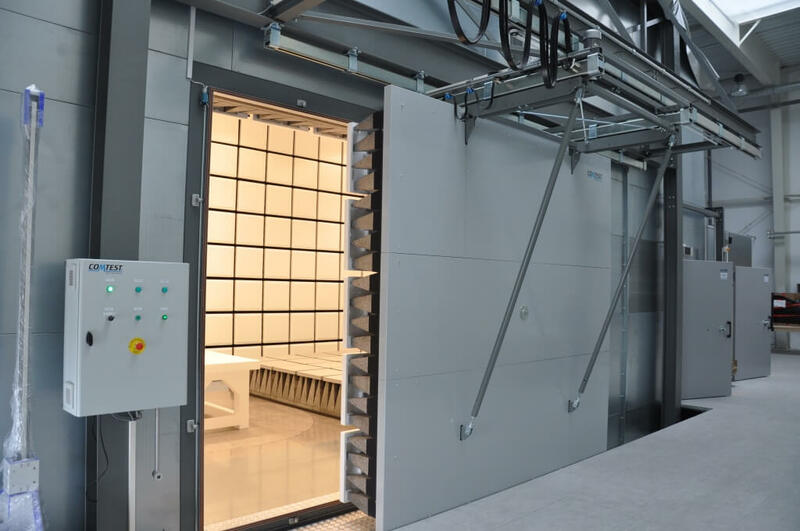 An EMC test facility or RF shielded room must be kept in reliable condition without costly work stoppage and down time due to repairs, if the company is to remain productive and competitive. Although Comtest products are considered amongst the highest quality in the EMC industry, similar to other equipment, they do need maintenance. The main objective is to prevent RF shielding deterioration or malfunction of the shielded door operating system. Repair or maintenance of the moving parts like the locking or opening mechanisms is not recommended to be executed by unauthorized personnel. Comtest Engineering can carry out preventive maintenance on RF shielded doors, mode-stirrer systems and positioning equipment such as turntables. As an additional service, our experienced maintenance engineers can validate the Shielding Effectiveness (SE), NSA, Field Uniformity (FU) and sVSWR of your facility to ensure that your controlled electromagnetic environment remains within limits and ready for use. Find more information about this service on Site Validation Testing.